Q: Can you tell me your name and position at Cryptic Studios, as well as the work you're doing on Neverwinter? A: I’m Zeke Sparkes and I am lucky enough to be the Lead Designer on Neverwinter. I’ve been with Cryptic since before City of Villains launched and worked in the pen and paper games industry before that. Q: Cryptic has been a well-known name in the MMO world for a very long time now, but I think it's usually associated with superhero and sci-fi games. Can you tell me how and why you guys decided to go in the direction of fantasy and D&D? A: Well most of us at the office are pretty big D&D nerds and spent countless hours rolling dice in someone’s basement with friends. So when we had an opportunity to help bring a part of that world and experience to life we jumped at the chance! Q. How much has Neverwinter drawn upon its D&D roots? Obviously, a lot of lore has been brought over, but it's hardly a game where everyone's sitting around rolling dice at their computer. Which elements have been drawn on from classic D&D and which have been Cryptic's own inventions? A: From the beginning we’ve tried to build a game that is evocative of D&D. We’ve worked hard to make sure the game oozes lore and nostalgia across the ages. The story and lore are strongly connected with the history of the Realms and pick up right where recent source books and novels have left off. We work with WotC closely to make sure that everything we do accurately represents and expands on the IP. Past the main storyline there are a lot of little nods in the game that we hope will make people smile. I think my personal favorite is that we found a way to get the 10’ pole in, it just isn’t D&D without it. Wizards of the Coast has been very supportive about us making a game that feels like D&D instead of any one particular rule set, so we’ve been able to pick and use the parts of the systems that fit and fill in some blanks or alter things when they might bog the game down. It’s a tough line to walk to make sure everything feels right but works and plays well in context. One of the easiest places to see something like that is with the level numbers. Our max level is 60, that’s a pretty big deviation from D&D. You get to the equivalent power level of about a level 20 character in pen and paper, and for a long time we tried different ways to have only 10-20 levels for launch. But the progression just felt wrong for our game. We cooked up and implemented a bunch of different leveling schemes to try and help out and they all just felt cumbersome and odd. So in the end we decided that the game would be better if we broke with that convention and moved to a more graduated leveling system with a max of 60. Things like that are always hard decisions to make. Q: How do you think that Cryptic's previous games have shaped the development of Neverwinter? A: They’ve had a huge impact. We learn an amazing amount from each game we make and support. Maybe our most important lessons recently have come with the experience of bringing two subscription games to a free to play model. We learned so much by listening to our players and now get to apply all of that knowledge to a brand new game from ground up. Q: Can you tell me a bit about the backstory of Neverwinter? A: Neverwinter takes place 120 years after “The Time of Trouble” and about 30 years after the eruption of Mount Hotenow tore the city of Neverwinter apart. The story focuses on reclaiming and rebuilding the city and fending off various threats in the area that have risen during the tragedy. Now is the time for brave adventurers to stand up and meet the challenge. Q: Would you say that Neverwinter is a very group-oriented, or social game? Are players encouraged or rewarded for playing together? A: We tried to make sure the game was both group and solo friendly. There is a bunch of content made specifically for group play. We have a 5 man Skirmish and a 5 man Dungeon Delve in each of our main adventure zones. We wanted to make sure these were easy to access so they are repeatable and players can use a queue system to get teamed up and enter if they don’t have a team of their own. You don’t have to play these maps though and can level from 1-60 on your own if you wish, but they have some of the cooler rewards in the game. They’re also really fun! Q: Many MMOs employ what players like to call "the holy trinity" system (tank, dps, healer). Lately, though, there's been a trend of MMOs trying to move away from this. Do you see Neverwinter being a game where party members will have certain roles (much like many D&D-based games) or a game where group composition is not quite as important? A: We definitely have a version of the ‘trinity’ in Neverwinter and you can easily see which classes are good at which roles. Each of the class builds is self-sufficient to a point so there’s some flexibility in group make up. You don’t always need someone from each role to succeed but it certainly does help, especially at end game. Q: How do the different classes synergize together in group play? A: Each of the classes has strong points and weaknesses that the other classes can help cover. For example Trickster Rogues are great at dealing massive damage to select targets but can have issues if overwhelmed, but if they pair up with a Control Wizard the extra enemies can be locked down long enough that the Rogue can pick them off one at a time. Or Greatweapon Fighters can be fearsome if they wade deep into combat with their massive AoE powers, but they can be even more reckless if they have a Devoted Cleric nearby to keep them protected and healed up. Q: What are some things that you feel set Neverwinter apart from other MMOs? A: I think there are a couple of key things that make us different. We are a top quality free to download free to play game from launch. That’s something we haven’t seen a lot of, no client cost, no subscription fee from the get go. Our action combat brings you right into the game and connects you to what’s going on in a visceral way. Positioning and awareness play an important part in the game, always keeping you on your toes. Your attacks are connected and powerful with no floating feeling. We’re also in the Forgotten Realms, one of the most popular D&D settings. Our stories continue to explore a beloved area of the Realms and let people revisit familiar locations. But it’s not just about the stories we want to tell, the Foundry lets our players get into this world and tell their own stories. Player written stories show up in the same persistent world as Cryptic quests and are rewarded similarly, letting people recreate their favorite adventures and share it with everyone. We are very excited to see what adventures people are going to make. Q: I'm sure this is probably one of your least favorite types of questions, but I have a couple of questions about the microtransactions shop. What has Cryptic's stance been on it? How do you balance the gameplay experience of a player who has decided to use the microtransactions shop versus a player who hasn't? A: I don’t mind at all. Our philosophy is that the best way to make a successful free to play game is to make the best game you can. We don’t like barriers or friction, and neither do players. We want everyone to play our game, enjoy it, and have a great experience whether or not they’ve spent money. That’s what we focus on because when people love your game they want to be a part of it and the rest just follows. Q: To end, what is one thing that you'd like tell people about Neverwinter? A: Make sure you get in, check it out, and tell us what you think! We’ve put a lot of hard work and love into this game and I think we’ve made something special that people are really going to enjoy. I've been playing Neverwinter since last Thursday and have been having a blast. If you're interested in my impressions, look forward to and upcoming classic MMO Co-Opportunity installment. 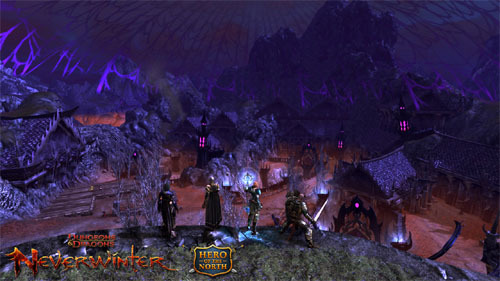 Neverwinter goes into open beta tomorrow, April 30th. This means that anyone will be able to make an account and play the game for free starting tomorrow. 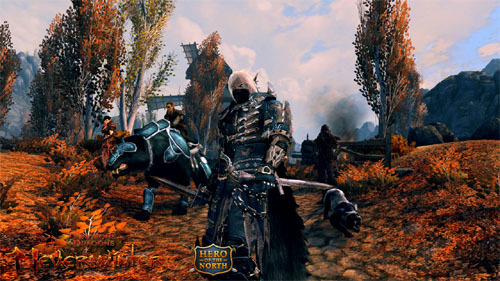 The game supports 5-player parties with both instanced and open world combat. Characters will not be wiped from this point onward. Page created in 0.5992 seconds.